Ty Jenkins is the chairman of Docutech, which he founded in 1991 to simplify the mortgage loan document process and guarantee compliance for the mortgage industry. Under his leadership, Docutech has become one of the nation’s premiere mortgage document and software providers, amassing one of the largest, most complete libraries of customized investor documents and company products that seamlessly integrate with mortgage loan origination systems to guarantee optimal security, compliance and accuracy. Ty’s work with Docutech has positioned the company as one of the leading compliance expert resources within the industry and most recently earned him a 2016 HW Vanguard Award from HousingWire as well as a place on Mortgage Professional America’s 2016 Hot 100 Listing. Prior to founding Docutech, Ty attended Idaho State University, where he studied finance. 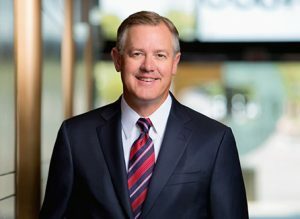 Outside of his work with Docutech, Ty also served on Idaho Governor Butch Otter’s Economic Advisory Council from 2004 to 2008 and is still an active member of the U.S. Chamber of Commerce.